NaazukSpace: My Tryst with Monopoly! Monopoly - The game with 40 spaces including properties, 'Chance', 'Community chest', houses, hotels n my favorite hangout - The jail! :p I have played it innumerable times. I love it sooooo much that for my 12th birthday, i got 7 sets of Monopoly as gifts!!! So you can imagine my 'love' towards the game. ;) Most of the time i used to play it with my siblings and cousins, laughing as i collect rent and crying as i land on hotels and houses. But whatever it was, it was my FAVORITE. It still is! I played it throughout school, undergraduate level, graduate level, post graduate level and now even after marriage!! And Insha'Allah i will continue playing it with my kids and grandchildren too! LOL! If i have to thank one person who has made me continue playing Mgame even now, its my hubby! 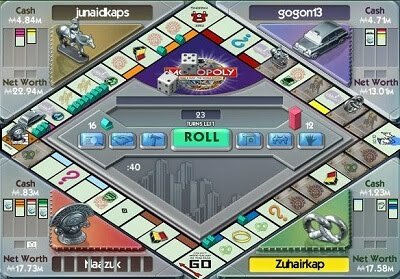 You can imagine my happiness when i got to know Zuhair LOVES playing Monopoly!! Till my marriage i knew only one version of the game i.e the board game, But thanks to my gamester hubby, i now play the Monopoly Card game and the Monopoly online version. And my love for my hubby and Monopoly has deepened further! LOL! We bought the card version of Mgame on our trip to Cochin and its been a big hit in our house since then. Except for my Abba, who is just waiting to get his hands on the pack so that he can throw it away! I do not blame my dad for this. We play it sooooooooo much that any parent would want it in the garbage. I do not think there is any couple who is crazy about the game like us. We have played it at home, in the car, in the train and in the plane too!!!! No jokes here.We seriously played! Until the air hostess would come to us and say ' Sir, Ma'am could you please put back the trays, we are about to land'!! LMAO! We would start playing Monopoly and the time would just fly. Its our favorite version of the game. So the next time you are bored of every single thing on the planet, you know what to do! 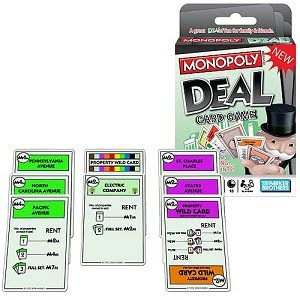 Pick up a pack of Monopoly deal card pack and also register yourself at pogo.com and get going!! Trust me, its gonna be real fun! ;) See you on Pogo! Monopoly was popular in Cuba until Fidel Castro demanded that all Monopoly game boards be destroyed!!. The longest MONOPOLY® game ever played was 1,680 hours long. That is 70 straight days! The longest Monopoly game played in a bathtub went on for 99 hours. The longest Monopoly game played upside-down went on for 36 hours. Our record is on the way! ;) See you on the other side! 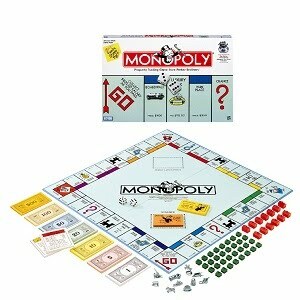 but ur post made me pick up and dust my old monopoly set and inspired me to start playing the game once again..!! You are truly a Happy child and want to spread that happiness all around the people around u.. I love reading books..any and every genre of books that I can lay my hands upon.. so when I say this, I say this truthfully.. You should try writing a novel yaar..coz u have a flair for writing..your writing style is so engrossing that it keeps the readers hooked till ur last lines.. I m telling u yaar..just try it out once..whenever u get some free time, just write down somethin..pretty soon you'll have a story to share..and Your novel will be a big hit naaz,I tell u that..
lyk it!! lyk it!! :)monopoly rocks!!! Wow really awesome game. i like it. thanks .visit- POGO technical support also call Toll Free No 1-800-231-4635 For US/CA.